Kicksta Review: Is It the Best Instagram Tool for You? I think we can agree the worst thing for your Instagram is a tidal wave of fake followers. These fake followers contribute nothing to your business, and it is a hassle to clean them from your account. Kicksta, an Instagram automation tool, claims to only add real followers to your Instagram. In this Kicksta review you’ll learn how the Kickstagram works, what type of growth you can expect from using it, the pros and cons, and if it is the right Instagram tool for you. Boasting over 2,000 clients, Kicksta (formerly Kickstagram) claims to be the ultimate tool for your needs. Whether you work as an influencer, social media marketer, small business owner, or entrepreneur – Kicksta can be of use. Though there are many Instagram tools that will mass follow and un-follow accounts on your behalf, Kicksta operates a little differently. The purpose of Kicksta is to boost interaction on your Instagram account, mainly through likes and comments. While researching this company, I noticed many people refer to it as Kickstagram, instead of Kicksta. What is the reason for this? The reason is the company was originally called Kickstagram but they changed their name to the shorter version, Kicksta. Behind the scenes, Kicksta runs complicated algorithms and scripts, the inner workings of which they’re unlikely to share with the public. Nevertheless, the core features of Kicksta revolve around the concept of increasing interaction by engagement. In other words, instead of sending a multitude of likes and comments to your account from bots to simulate an active account, Kicksta actually interacts with other real accounts, encouraging them to do the same. For example, when someone likes one of your pictures, you’ll receive a notification on your phone. There’s a good chance you’ll open the notification and take a look at who your new fan is. Kicksta uses scripts to like images on real accounts, eventually sending real people back to your account. It’s similar to the follow/unfollow strategy, except only with post likes. With their Smart Targeting feature (discussed in the next section) Kicksta will engage with popular accounts (that you select), and interact with the fans of those accounts, until they follow you. For example, if you’re a travel blogger, you would find popular travel blogging accounts on Instagram, and add their handle into Kicksta’s smart targeting field. From there, Kicksta will look at the followers of those accounts, and interact with the accounts by liking their images. This will send a ping to those people, they’ll check out your account, see that it’s similar to other travel bloggers, and hit the follow button. Very simple. These likes act as a ping (or notification of sorts) letting the accounts owners know you’re there. It’s a safe way to interact with accounts without coming across as spam. What if the script likes thousands of other account’s posts, but none of the account owners come back to my account? Most people are worried it’s not a sustainable way to grow an account. There will always be a percentage of people who don’t return the favor, and that’s to be expected. Even with the follow/unfollow strategy, only a small percentage of people will follow you back. Nevertheless, it is still an effective marketing strategy. We already talked about the core Kicksta feature, but there are many others you need to know about. 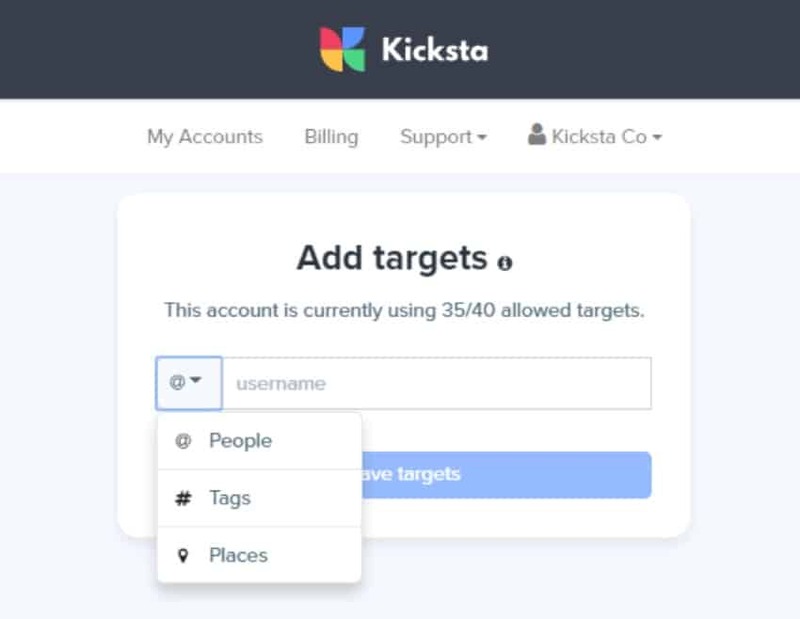 Kicksta claims to only interact within certain perimeters that you set, such as: Instagram handle, account type, hashtags, location, and more. Once you set these targeting options the scripts will run in the background and generate activity for you. This guarantees you will only be interacting with real accounts, therefore increasing the chances of real people coming back your account. In other words, real followers. One great feature about Kicksta are their reporting services. At the end of every month they’ll send you a breakdown of your Instagram account’s growth and performance. More importantly, in the daily stats section you can see the program working in real time, on your behalf, and watch the stats increase in real-time. The reports not only show your account performance, but also the performance on your target accounts. The report includes stats like target account health, followers, likes, conversion, quality, and so forth. You can even choose to turn off the account targets that are low quality or not converting at a desirable rate. Very cool. Filters are additional targeting options, mainly used to filter out undesirable accounts. Kicksta offers plenty of filtering options to guarantee the people who follow you are genuine and interested in the theme of your account. In short, Kicksta has plenty of filters. When used correctly, your account will steadily grow with real people who have a real interest in your business. If you’re paranoid about bots mass following and unfollowing accounts on your behalf, then you’ll be happy to learn Kicksta does not offer this service. The reason they don’t offer this service is because they believe it’s against Instagram’s rules and it doesn’t add authenticity to your brand. And they’re right. As someone who used these bots before, I can tell you it doesn’t help at all, other than increase your follower numbers. It’s also not great for your brand’s reputation. I mean, who wants to trust a brand that has thousands of followers with strings of numbers in their handle? Not many, I’m sure! Though this might seem that Kicksta has less features than regular Instagram tools, it also makes the service much safer. Personally, I prefer to avoid mass spam-like actions because I value my account, so Kicksta gets a thumbs up from me for this. Unfortunately, the company does not offer any free memberships. On the other hand, they do offer a 14-day money back guarantee, so if you change your mind, you can get a refund. From looking at the prices, we can see this tool is rather expensive, especially considering it doesn’t offer many features. Though I like Kicksta’s anti-spam policies, I feel the price is a bit high for what they offer at the moment. If you’re already generating income from your Instagram account, then this tool might be worth a look. On the other hand, if money is tight, I recommend something else. Before you sign-up, there are a few limitations you need to know about. For example, with Moderate Growth account you’re only limited to 10 Targets a month. In other words, 10 target accounts. Though this is usually plenty of small accounts, for brands or companies, it might not be enough. For $49/month I would expect more targeting options. Having said that, with the Maximum Growth account the ceiling on the limitations is increased, including the number of target accounts, from 10 to 40. What are other people saying about Kicksta? 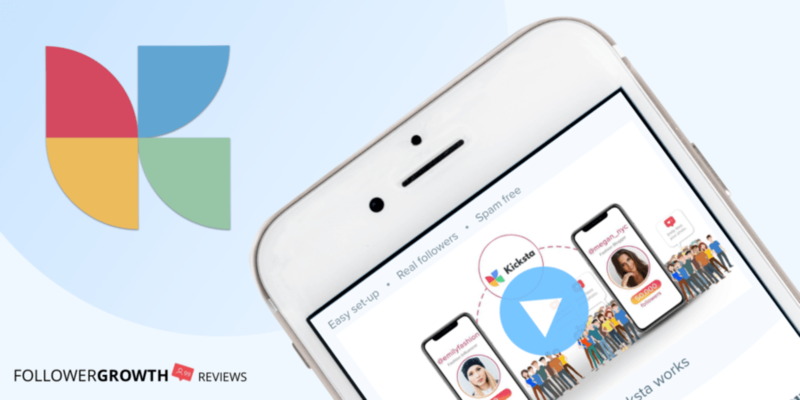 On Trust Pilot, Kicksta receives a 4/5 star rating based on 12 reviews. Although there are some negative (2) reviews, most of them received a swift response from the company’s customer support agent, offering to assist with the issue. Generally, most customers are happy with Kicksta. Below are some of the things I personally like about Kicksta. Most social media marketers have to spend hours of their time interacting with accounts to boost engagement on their social media platforms. Kicksta automates most of that for you. Input the target accounts and let the tool do the rest, it all runs in the background. Their outreach potential is quite impressive, as they claim to interact with over 60,000 targeted users every month. In other words, it’s a great way to get the name of your brand out there. It’s a great way to expand your audience. I can’t stress enough the importance of real followers. If you want actual clients, then you need real followers – real people with real money! Kicksta does a great job at organically growing your account and sending real people to your doorstep. Most of the people who use Kicksta on a regular basis have reported an increase of website sales. I admire the companies anti-spam policies; they don’t use any of the usual automated features because they know those features don’t work (and they’re risk too!). Most of the people who use this tool mentioned their account gained an infusion of new followers, not a bunch of dead accounts. Kicksta offers a wide range of targeting options. Of course, some of the responsibility is on your end too; it is up to you to use proper targeting settings combined with filters to block undesirable people. When used correctly, the tool can be a massive benefit to your business. On the other hand, here are some things I didn’t like about the tool. When reading other Kicksta reviews, it’s clear the price is a little controversial. Some people claim the company charges far too much while only providing a few services, meanwhile other people say Kicksta should charge more. At the cheapest, Kicksta is $47/month. Personally, I think the tool is moderately priced. Once you understand how it works, the reasoning for the price becomes clear. Nevertheless, if you’re tight on cash, it might be best to avoid this one for now. To clarify, Kicksta does have a support system where you can ask for assistance, on the other hand, they don’t have a public help center. In other words, if you’re looking for tutorials or guides on how to use Kicksta, there are none. You’ll have to wing it. I think it would be great if the company added a public help center. They do offer a simple FAQ section that explains the basics. Although there is a support system available for Moderate Growth accounts, the live-chat support is exclusive to Maximum Growth accounts. In other words, if you run into an issue on the Moderate account plan, it will take significantly longer to receive help. Similarly, Maximum Growth includes exclusive premium email support, while Moderate Growth is limited to the regular support-ticket system. It looks like Maximum Growth is the account you need, as it offers the most features, but it also sets you back 99$/month. Is it really worth it? Can’t you just interact with accounts on your own? Are there any Instagram tools out there that rival Kicksta? As a matter of fact, there are two tools I recommend as alternatives to Kicksta. Upleap uses a different approach to growing Instagram accounts. On the surface, it works much like Kicksta, but instead of having a computer perform the actions, Upleap hires a real person to manage your account. The human touch. That is hard to beat. Upleap offers a free trial, and their cheapest paid plan is $37/month. On the other hand, Kicksta does not offer a free trial, and their cheapest plan is $47/month. In this case, Upleap takes the lead. Check out Upleap’s free trial here. KENJI is a cheaper alternative to both Upleap and Kicksta. On the other hand, KENJI uses AI algorithms to interact with your accounts. 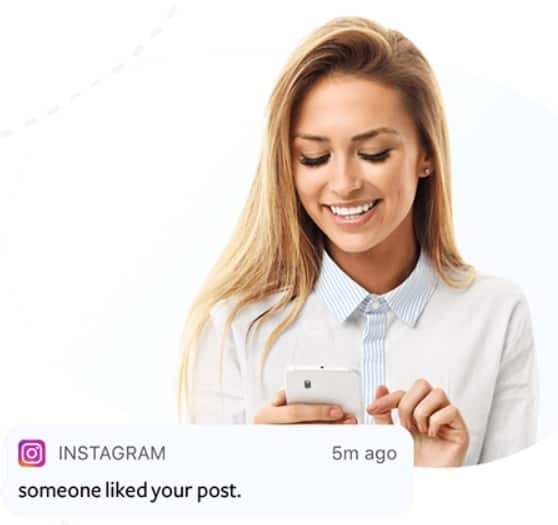 These algorithms are designed to learn how to mimic human behavior, but they’re still, technically, bots – which is against Instagram’s rules. KENJI offers a free trial and paid plans start at $19/month, although it is technically a bot, and lacks the human touch. Check out KENJI’S free trial here. To wrap it up, Kicksta is a decent – albeit- expensive tool. The alternatives mentioned in the previous section are cheaper and accomplish the same goals. Either way, Kicksta is worth checking out if you have some cash to spare, the tool received positive reviews from most customers. Thanks for taking the time to read this Kicksta review. Leave a comment if you have any further questions.